On Saturday I went to Dan Fontes’ place for a boathouse concert featuring Carolyne Aiken, a grammy-nominated musician. 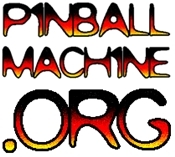 Dan has a great pinball and coin-op collection as well. Click the slide show for larger/better pics. Dan can often be found at the Pacific Pinball Museum and loves to talk art and coin op.